I just love baba ghanoush: it makes a wonderful dip or filling, it’s easy to make, it tastes wonderful, and with the addition of mint it’s even more refreshing! Preheat the oven at 200° C (392 F). Wash the aubergines and prick them all over with a fork. Put them on a baking tray and cook in the hot oven until tender (30-45 minutes). Remove from the oven, halve them and let them cool completely. Scoop out the flesh and put in the food processor with all the remaining ingredients. Blend until smooth. Let it rest in the fridge for at least 1 hour. Serve as a dip, sprinkled with the toasted pine nuts. 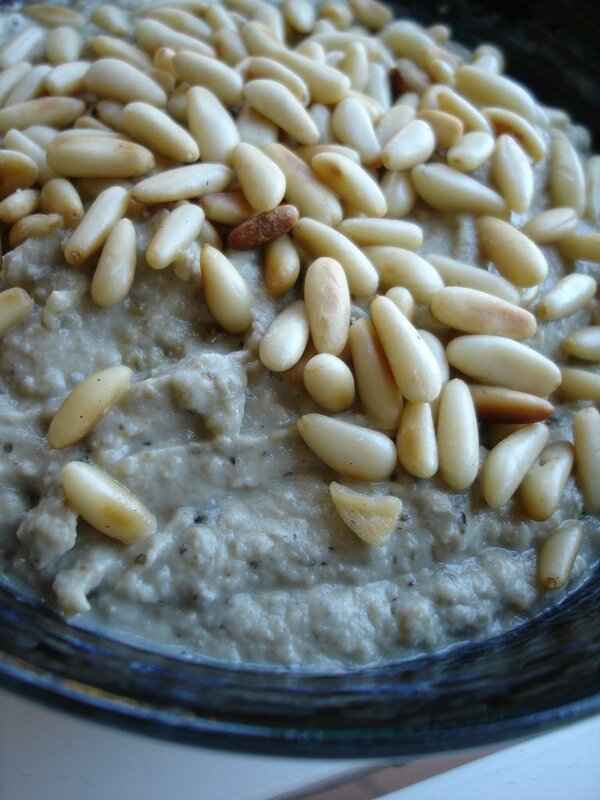 Adoro anch’io il baba ghanoush…ed ho anche della menta che m’ha portata un’amica dall’Egitto (marito egiziano che mi ha fatto conoscere queste delizie)…la voglio provare! I love this but I haven’t ever tried making this. I usually order it at a little Greek restaurant in Salt Lake, along with hummus. I bet adding mint really perks up the flavor. I love mint in anything! Your idea of the pine nuts as a garnish is a great one.